Heavy drinking can throw off your calcium levels. Along with the hormone changes that alcohol triggers, that can keep your body from building new bone. They get thinner and more fragile, a condition called osteoporosis. Booze also limits blood flow your muscles and gets in the way of the proteins that build them up. Over time, you’ll have lower muscle mass and less strength. I was watching a tv show recently and one of the women on there is going through a situation that I can relate to on a small-scale. Something happened between her and her husband and plenty of people would like to tell her what she should to including leaving him. Now granted she is in the public eye so she has a lot of social media and that to contend with and I am sure a lot of hate mail surrounding any decision she makes. So my heart goes out to her. Her husband is ill, he has addiction and he is in rehab and is trying to get better for himself, her and their children and trying to recover his faith in God. I believe he has now been able to come home and the family has now said much as to what has happened further and what any progress has been made. I am trying not to listen to other media because, well they take things out of context and its honestly none of my business. What she said that has stuck with my though is “Just do the nest best thing for the next 15 minutes.” All you have to do is get through the next 15 minutes, do the right thing to get you through 15 minutes, then do it again. And that’s how you will get through your day. Because I know its one day at a time, but that 24 hours sometimes scars the heck out of me. But 15 minutes, I can handle that. Well, most days. Sometimes even 15 minutes is pushing it for my comfort level. But you have to know your limits, know where you are at during each moment. I will always remember that “just do the right thing for the next 15 minutes, then do it again.” Because that’s exactly what I needed at that moment when I heard it. God puts those little sayings in our lives when we need them. I believe in things happening for a reason, everything having a purpose, and in faith. I have faith in something that I cannot touch, see, smell, taste or hear….but I have to believe that it is there. Well that’s all for today folks. The truth is, is we are never as safe as we think. It’s always terrifying and humbling to hear about friends or mentors relapsing after achieving multiple years of recovery. Addiction is a tricky foe, it has a way of sneaking up behind us when we are vulnerable. Some of us no longer enjoy going to meetings, so we stop. Some of us can’t afford weekly therapy sessions, so we stop. Some of us lose friends or move and lose our support system. We can help! There’s no need to white knuckle it. Let’s take action! For the past 3 months, we have been quietly working on a 30 Day E-mail course that will Reboot Your Recovery. This course is designed for everyone. If you have 30 days or 30 years, you will gain perspective, insight and daily exercises that will give your recovery a jump start. I could go on and on about how amazing our course is, but I would rather show you. The course is a small $15 charge, less than you pay for Starbucks every week. Except in this case, you can keep what you’ve learned and be able to apply it to a lifetime of recovery and life experience. If you are feeling down, if you are feeling stagnant or if you are just interested in continuing to grow, this course is for you! There is a cost for what they are offering but if you click on the link and check it out they explain it all and it might be worth at least checking it out. I am not going to be participating in this, but I wanted to pass it on in case anyone was in the need. On a lot of shows, alcoholism is a plot device. There’s a built-in dramatic tension when someone is on the wagon, so the push-and-pull of drunkenness and sobriety is the story and it doesn’t go any deeper than that. Mom is different, because it recognizes that there are many more stories about alcoholism to tell, and it goes all the way in on exploring all the myriad issues and minute details of recovery. There’s “will she relapse or will she stay sober?” but there’s also “how do you get your nonalcoholic boyfriend to understand why you have to go to meetings every day?” That’s a topic addressed in Season 3 episode “Beast Mode and Old People Kissing,” as is the heavier topic of “how do I get over the anger I feel and come to terms with the fact that the man who gave my friend the drugs when she relapsed and died deserves a chance to get sober, too?” Mom is aboutrecovery in a way no other show is, and therefore is the panel’s consensus choice for most accurate depiction of recovery. “I would feel comfortable saying ‘Yeah, it’s like that’ to somebody who is not in recovery but watches this show,” says Kevin. “You show this to anyone in recovery, and they’ll be able to relate,” says Zack. The panel members appreciate how the show has a sense of humor about alcoholism and recovery, but takes it seriously, too. Bonnie (Allison Janney) resolves the issue of her boyfriend Adam (William Fichtner) not understanding AA by showing him the tape of her daughter Christy’s (Anna Faris) wedding, which she ruined by getting trashed and making a scene. Her drunken antics are played for laughs until the end, when Christy is crying and apologizing for her mother’s behavior. “It’s important that they show the part with the daughter, where you realize it’s not just some funny bits,” says Zack. “There are actual consequences. She ruined her daughter’s wedding, and it’s not ‘Ha ha. '” And yet, it still manages to end on a laugh, when Adam quips that he’ll take her to a meeting right now if it ensures that never happens again. Panel members ranked Mom as most accurate, followed by Recovery Road, then Flaked, thoughFlaked is accurate in a very specific way. They respect each show’s depiction of recovery as different, because every recovering alcoholic’s experience is different. And they think it’s a good thing that these shows exist, because representation builds understanding. Being famous definitely has its perks. But, it also has its downfalls. Some might argue that fame and drugs go hand-in-hand and that it’s probably a common occurrence to see, be around, or use drugs when you’re famous. And no doubt, there have been numerous tragic stories of celebrities who have succumbed to their drug addiction. 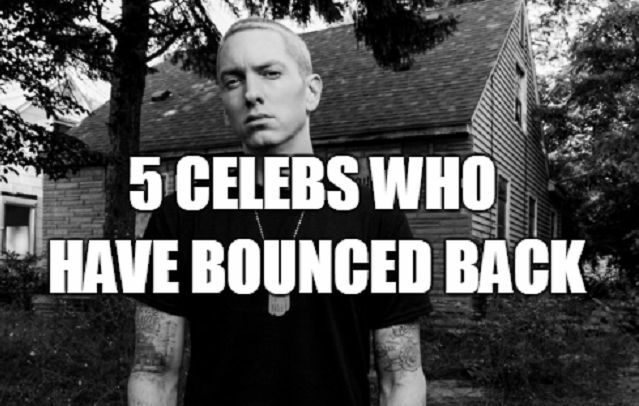 But, we’re here to talk about something positive: Celebrities who have relapsed but who have also bounced back and are thriving! But first, a word about addiction and relapse. One of the main working definitions of addiction is that it is a chronic, progressive, relapsing disorder. Now, that doesn’t mean that everyone who is recovering from drug addiction will relapse at one time or another. However, keep in mind that addiction is an insidious disease that can sneak up on you and the statistics don’t lie: Information gathered by drug and alcohol rehabs show that the percentage of people who will relapse after rehab and even after a having had a period of sobriety ranges from as much as 50% to an astonishing 90%. Being in recovery can be tough, no doubt. Being a celebrity in recovery is possibly tougher. We’re told we need to change “people, places, things” but, it’s got to be hard to do that if you’re a celebrity in Hollywood. As a member of an exclusive group, you’d have to mingle with some of the same people as before, visit a lot of the same places and attend the same events (think: Oscars and all those before and after parties and all of that alcohol), as well as be a part of the same microcosm of other famous people. 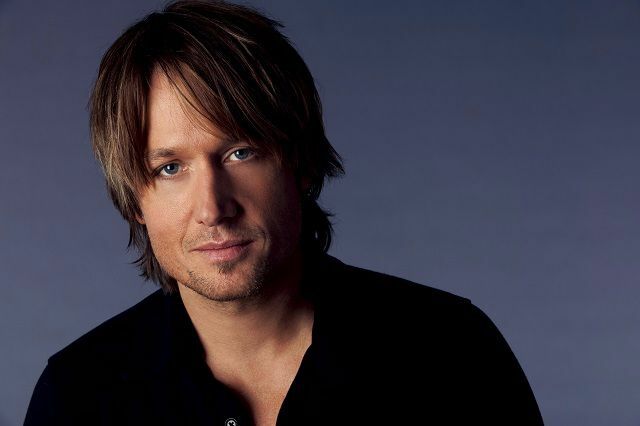 Here are 5 celebs that relapsed but are sober now. RDJ was the epitome of achronic-relapser. After repeated attempts at rehab though, the actor has been drug-free since 2003, proving that recovery is possible. He credits his family, therapy, a twelve-step recovery program, yoga and meditation, and the practice of Wing Chun Kung Fu.Downey is an inspiring role model to many in recovery: after struggling for so long with a raging drug addiction and its consequences (Downey is no stranger to the justice system), he is thriving in sobriety. With over four decades in the business and an amazing list of credits to his name – the Iron Man franchise, Sherlock Holmes 1 and 2, a hilariously memorable role in Tropic Thunder – RDJ has managed to stay relevant and fresh and is more successful than ever. Several years ago,Eminem was struggling with alcohol and painkillers and decided to go to rehab. Within the first three weeks, he relapsed and within a month his addiction was worse than ever.”I don’t know at what point exactly it started to be a problem,” Eminem said in an interview. “I just remember liking it more and more. People tried to tell me that I had a problem.” He eventually began mixing pills, which led to an overdose. The rapper was rushed to the hospital when he went into organ failure. A month after being released from the hospital, Eminem experienced another relapse. He says he effectively got sober on April 20, 2008 and considers Elton John to be a close friend and mentor during that difficult time. Although Butler quit drinking 15 years ago, he was in rehab just a few years back – this time for an addiction to prescription painkillers. Butler began taking painkillers after an injury while shooting the movie Shattered in 2007. “I started taking more. And I started taking them very quickly.” He says he sought treatment through a rehab before it got too out of hand. Butler has been clean and sober ever since. Singer-songwriter, actress, television personality, and fashion designer, Kelly Osborne has madequite a name for herself. However, it wasn’t without its struggles – namely – drug addiction. As the saying goes, the apple doesn’t fall far from the tree and Kelly unfortunately takes after her dad, musician Ozzy Osbourne, when it comes to substance abuse.Both father and daughter are clean and sober today. But not without their respective relapses. At the age of 17, Kelly became addicted to Vicodin – something that had been inadvertently documented on the family’s reality TV show, The Osbournes. Urban has been clean and sober for the better part of a decade now and has continued to enjoy great success. Urban has two daughters with wife, Nicole Kidman, and continues to tour as well as sit as judge for one of America’s most popular television programs. I still managed to find a way to stay away from alcohol. Not that I ever had an addiction to it, but I sure had plenty of opportunities to go to that – give me something to blame it all on. A scapegoat to fire all my anger at….but instead…I talked it out, I took on a new hobby, and hubby and I have grown even closer. 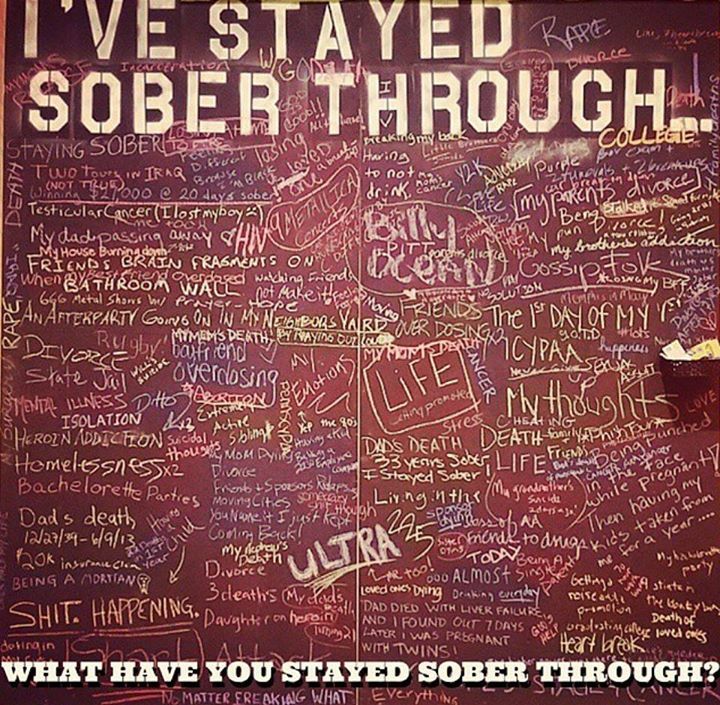 POST IN COMMENTS WHAT YOU HAVE STAYED SOBER THROUGH…PLEASE! This was a very good artical – please take the time to read it. I am wishing you Love, Happiness, Sobriety, strength and Hope now and into the new year. If no one has told you they love you today, I love you and God does too! !